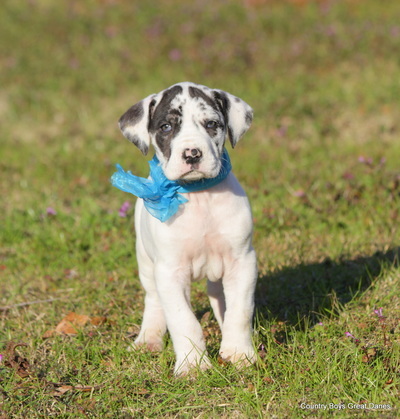 Country Boys Great Danes - CountryBoysGreatDanes :: AKC Great Dane Breeder - Puppies For Sale. .....I will be driving delivering babies if you need a baby delivered please call me. Welcome To Our Site! 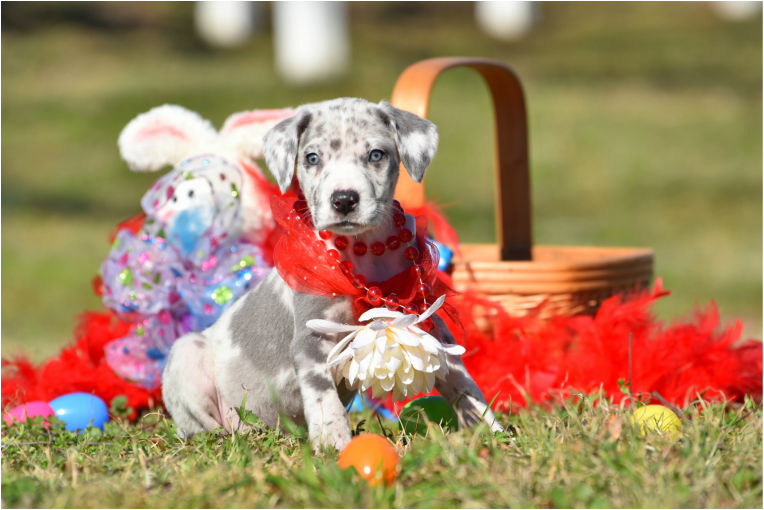 We live and hand raise our puppies here on a farm in South Alabama. We live right outside of a small town called Opp, Alabama on 250+ acres . 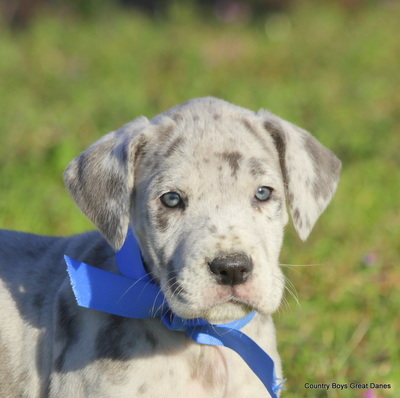 Country Boys Great Danes Kennel consists of Myself (Kim), My Husband -Greg, & our Four Boys,Brock,Drake,Gage, & Trystian. 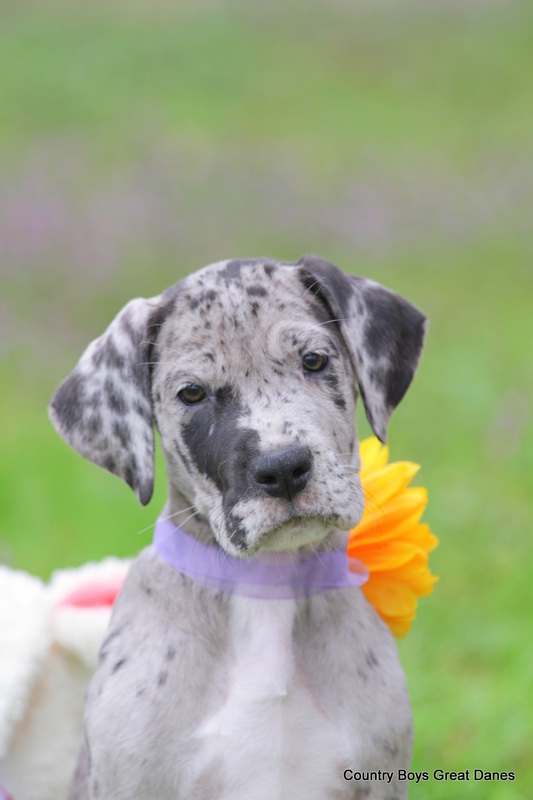 We have been raising Great Danes for over 23 years & have loved every minute of it ! There is no way that our babies can be more socialized than they are. 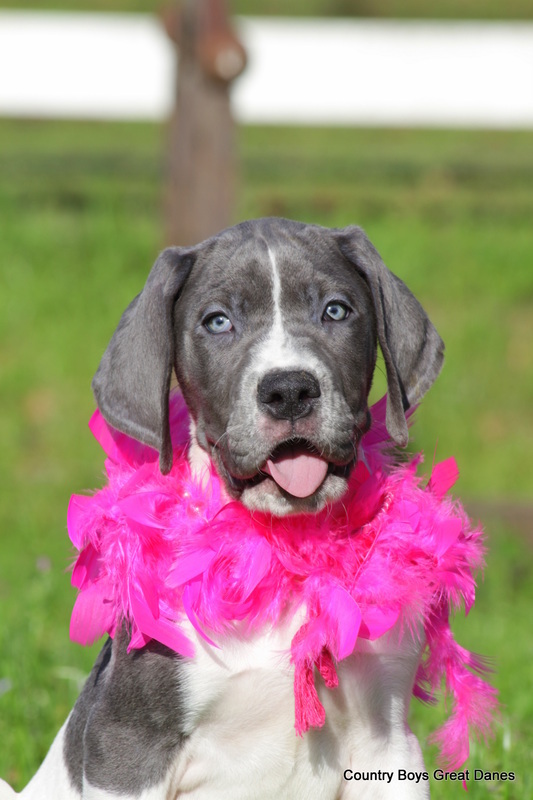 Even though we do Not Keep All of Our Danes Inside...that being said ...We have Large Kennels and a Huge indoor kennel. Keep in mind we do live in the south and our pups are handled several times a day....In my opinion in breeding not all male breeders complement the female being bred...that is why we normally keep 3-4 males here so that we can match perfectly with our females. Our Females are not bred until they are 2 years and older...that being said we have several females that are 3-4 years unbred as well. We have started co-owning a few females with hopefully individuals that will make us proud to call them family. If you are interested in co-owning please inquire. We are NOT a puppy mill & we take pride in what we produce...always remember you get what you pay for...need I say more? We specialize in Harlequin, Merle, Blue, Fawn, & Black Great Danes. We currently have breeding pairs that are Full American Bloodlines and Full European Bloodlines. We also cross some American & European lines. We raise our babies to be loving pups & then they grow into being loving adults. ..trust me they are spoiled rotten by the time you get them. We get compliments all of the time about how loving & well socialized they are ...anything would come out spoiled after living with us for 8 weeks or longer. I'm very picky when it comes to my "Breeding Stock". They all come from Good Pedigrees and Good Temperments. 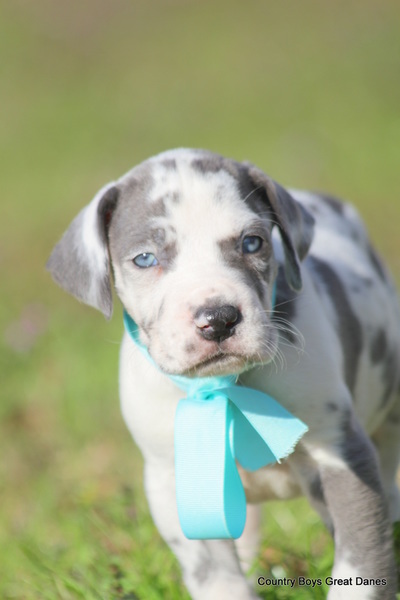 We are NOT Breeders that Disreguard certain colors born...Merles are just as beautiful as the next-If for some reason when one of my planned breeders are not what I expected when they reach breeding age then they are spayed / neutered and become nothing but pets. All of Our Danes are Family Members & are treated as such. They all are Fed Free choice with Vitamins & Treats Daily. We are currently DISTRIBUTORS of the line of Natural Vitamins we feed our family members:) Animal Naturals has a Wonderful line that has worked out great for us. THEY ARE NOT FED TABLE SCRAPS!! I believe that it's a MUST if your planning on keep your Little One ...that Quickly turns into a BIG ONE indoors. I've never understood why a parent would give a baby something that they knew was bad for them. *We Try And Make Everyone Happy But Just Like Anyone Doing Business For Over 23 Years...You Can Not Please Everyone All Of The Time. God Knows We Sure Try Hard..We Do Not Allow Everyone To Purchase Our Puppies and We Do Not Allow Breeding Rights On Puppies Until They Are Older. 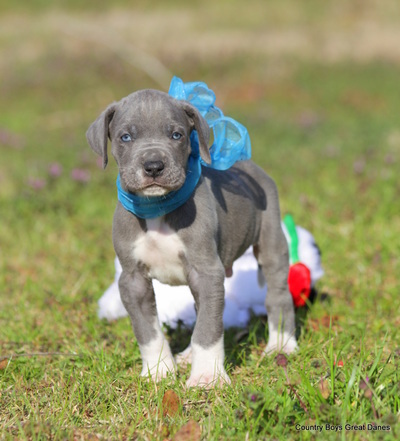 Just Because They Are Awesome Structured @ 8 Weeks Doesn't Mean @ 2 Years They Should Reproduce. By Doing This It Also Gives You More Time With The Breed To Determine If Breeding Is For You. Hope You Understand.